A state Supreme Court justice has rejected two legal challenges to a Hasidic Jewish village's expansion in Orange County. Unless there is an appeal, the 164-acre annexation may proceed. New York Governor Andrew Cuomo has vetoed for the second consecutive year an annexation oversight bill sponsored by Hudson Valley lawmakers. A New York state assemblyman from the Hudson Valley is calling on Governor Andrew Cuomo to sign an annexation oversight bill. 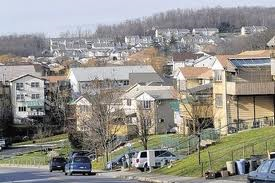 The legislation would give county planners a say in proposals like one from the Orange County Hasidic Village of Kiryas Joel. The Orange County executive held a public forum last night as part of the county’s parallel review of the controversial annexation proposal from the Hasidic Jewish village of Kiryas Joel. The forum drew several hundred residents and elected officials. Orange County officials are holding their own review of a controversial annexation proposal from the Hudson Valley Hasidic Jewish village of Kiryas Joel. And there’s a public forum Thursday night. A public comment session on the Hudson Valley Hasidic Jewish village of Kiryas Joel’s controversial annexation proposal was held Tuesday evening — despite calls from some elected officials and area residents to postpone the session because of inclement weather. A village spokesman is defending the decision to press forward. The New York state environmental commissioner has selected a Hudson Valley Hasidic Jewish village to lead the review of a request annexing just over 500 acres of land in the Orange County town of Monroe. As WAMC’s Hudson Valley Bureau Chief Allison Dunne reports, the decision is controversial. New York's Department of Environmental Conservation commissioner has chosen a Hudson Valley Hasidic Jewish village to lead the review of a request for it to annex 500 acres of adjacent land.